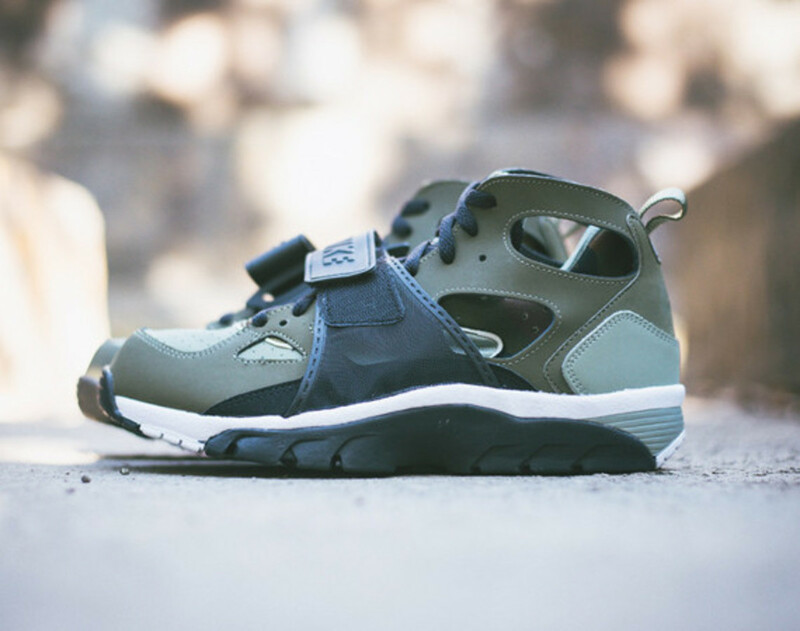 Nike Air Trainer Huarache "Medium Olive"
Nike has brought back the Air Trainer Huarache, featuring an olive colorway for a decidedly military-inspired aesthetic, reinforced by a camo-printed interior bootie. 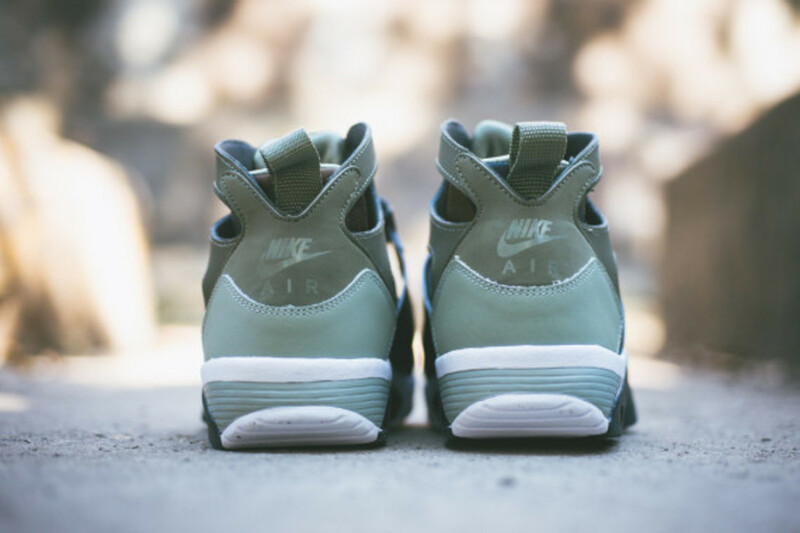 More than two decades ago, the shoe represented the height of Nike innovation, constructed with a stripped down build that removed any non-essential materials. 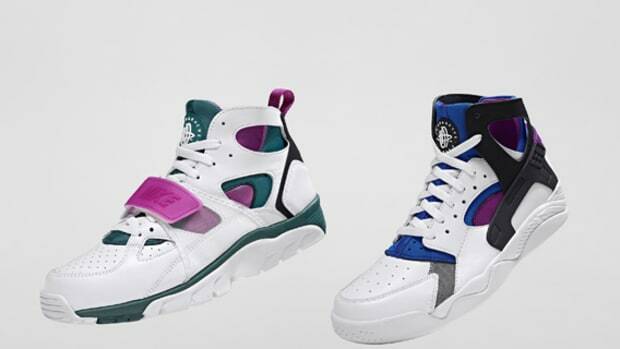 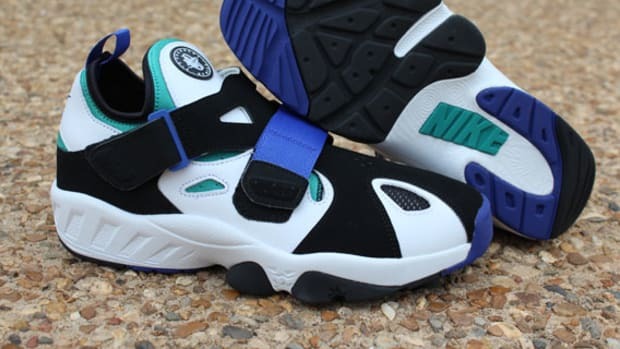 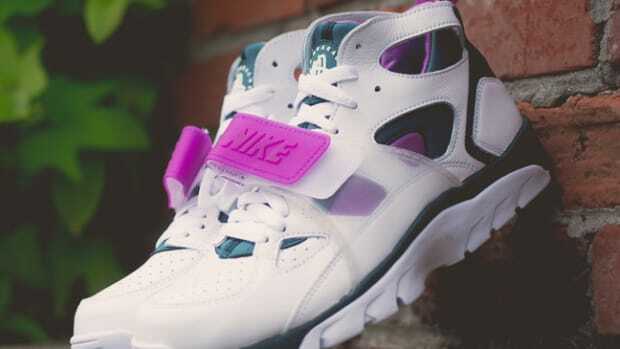 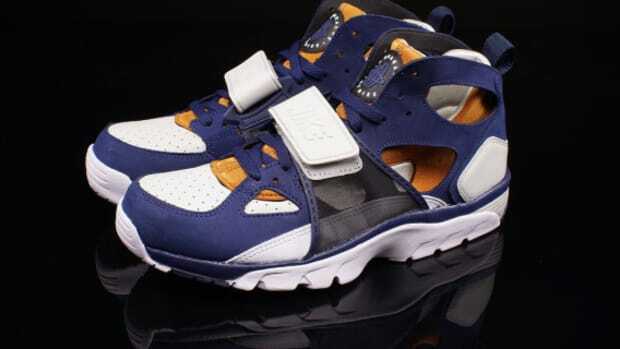 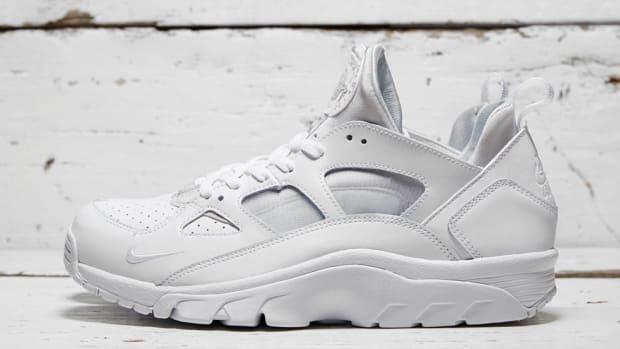 Unlike other Huarache models from the time, this one added a mesh mid-foot strap for a lock-down fit. 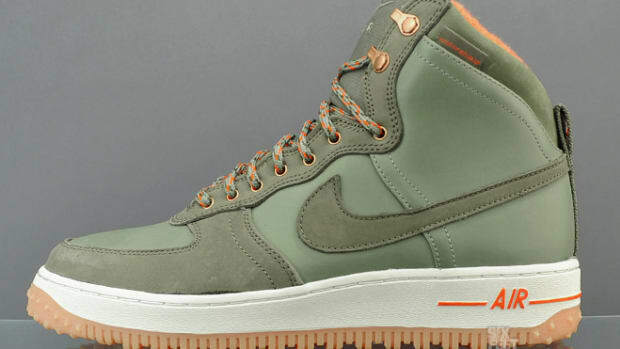 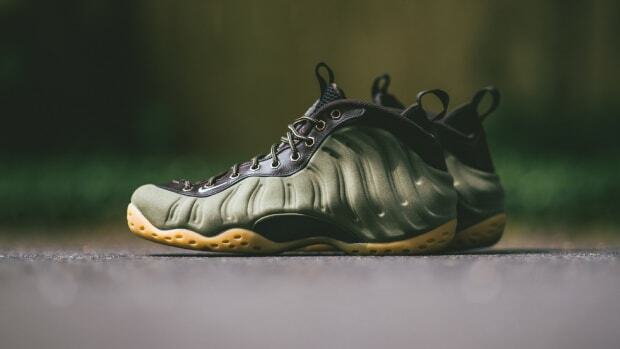 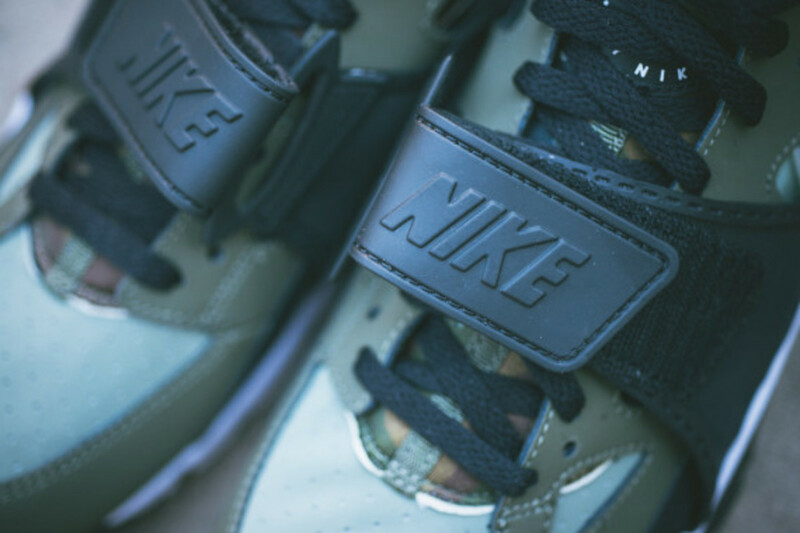 It&apos;s rendered here in black, with the color repeated at the laces and midsole, nicely complementing the military green upper. 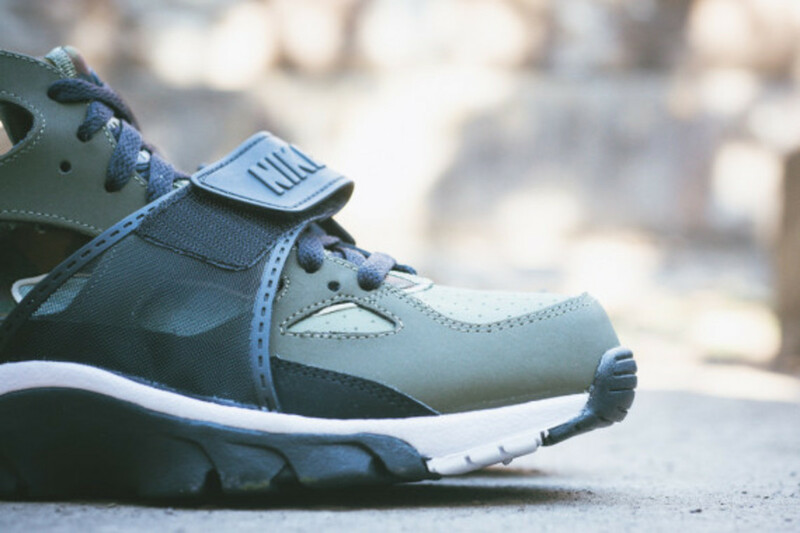 The Nike Air Trainer Huarache in Medium Olive is available now through select Nike Sportswear retailers, including Sneaker Politics. 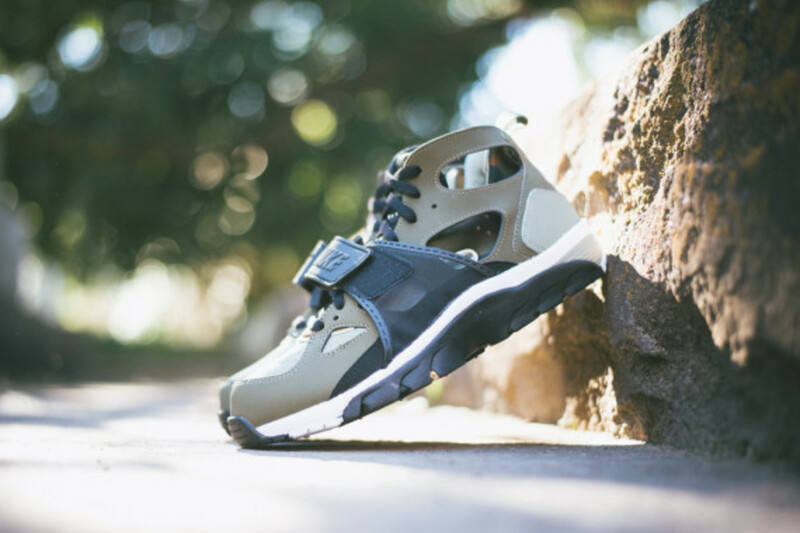 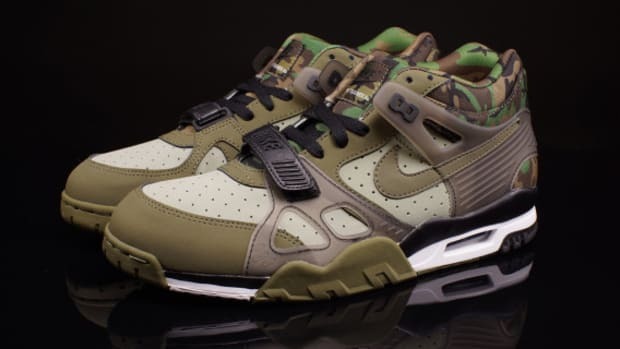 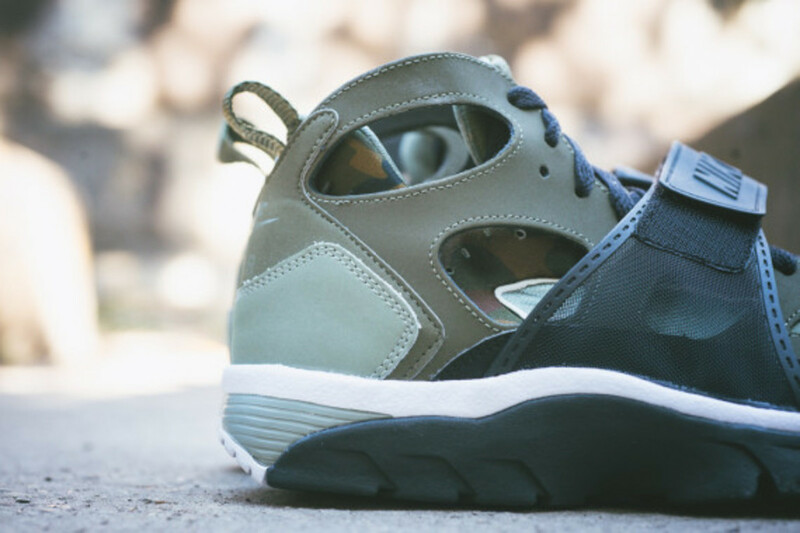 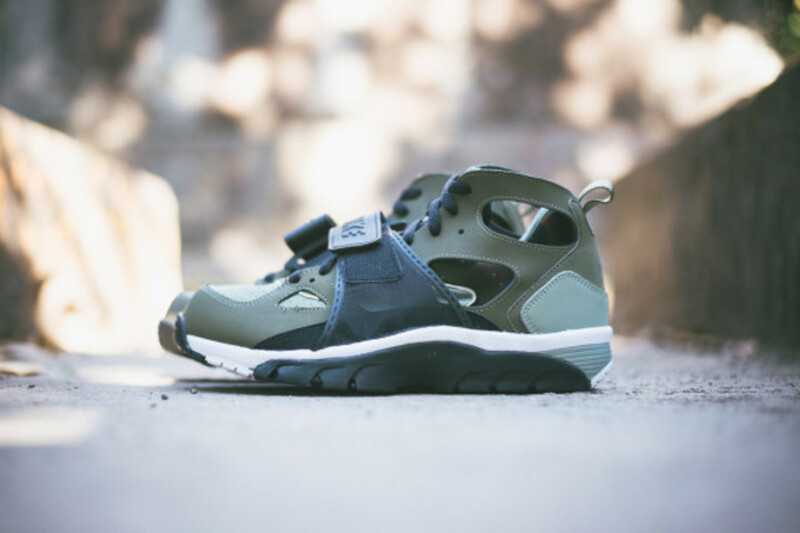 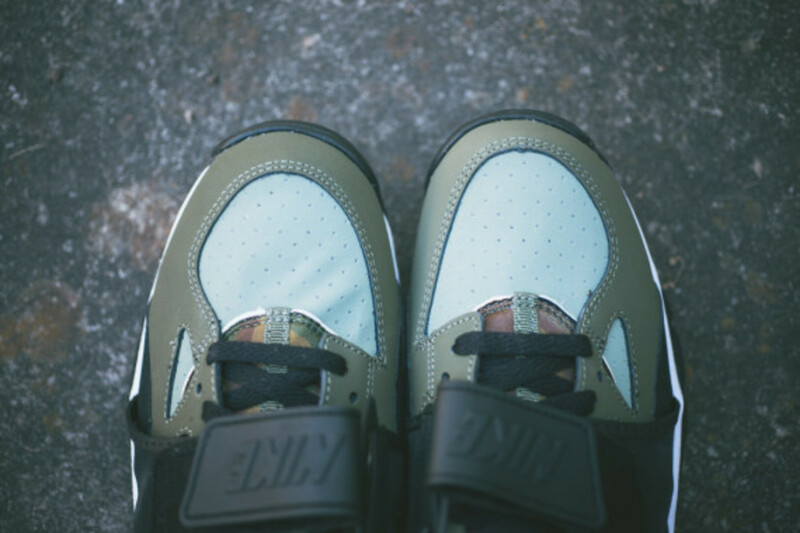 Nike Air Trainer 3 "Camo Olive"
Nike Air Trainer Huarache "Medicine Ball"